Cut baguette in half, lengthwise. Spread mayonnaise and Del Monte® Fresh Guac™ over 1 side of each half. 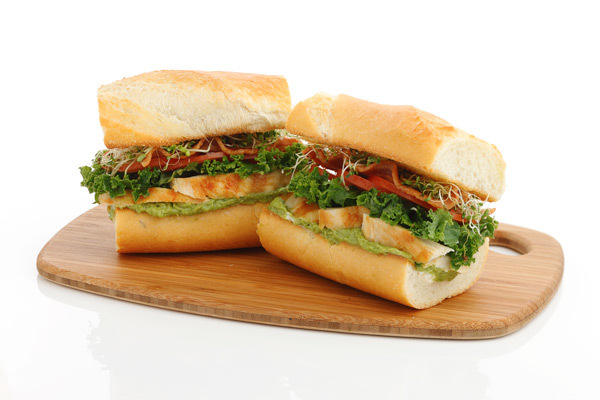 Layer chicken, lettuce, tomato, bacon and alfalfa sprouts on one half of the baguette. Cover with the other half of the baguette.